Bao Tang My Thuat is the Vietnamese name for this museum which was opened in 1966. 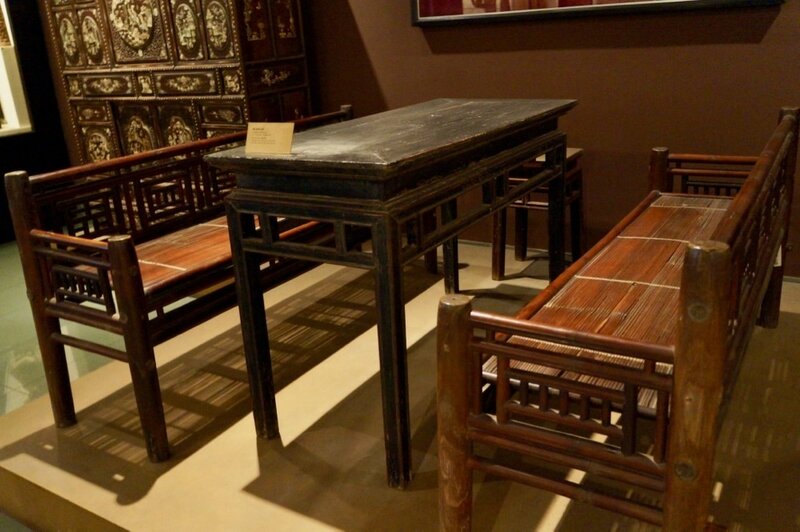 Housed in an old French colonial building, said to have been an Catholic learning dormitory, the early artefacts, curiosities and folk-art have found a spacious home. On display are 3000 items from the Museum's collection of 20,000. 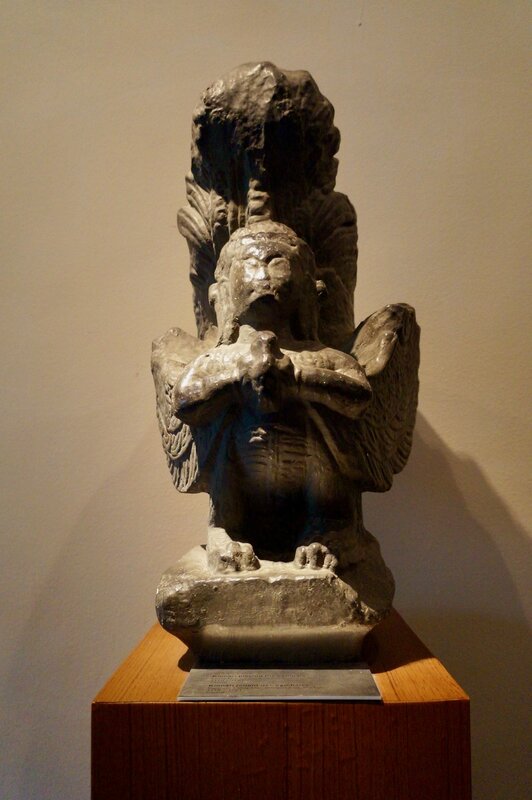 Displayed chronologically, it shows the development of Vietnamese fine art. There is a Library opened to researchers. As well, a book shop of some original paintings of Hanoi artists is worth checking out. 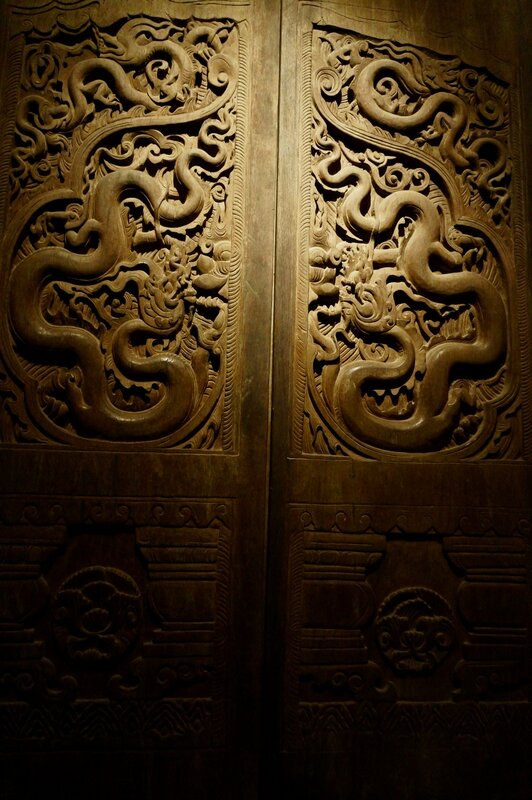 ​Located just across the Temple of Literature, it is best to visit these two together. 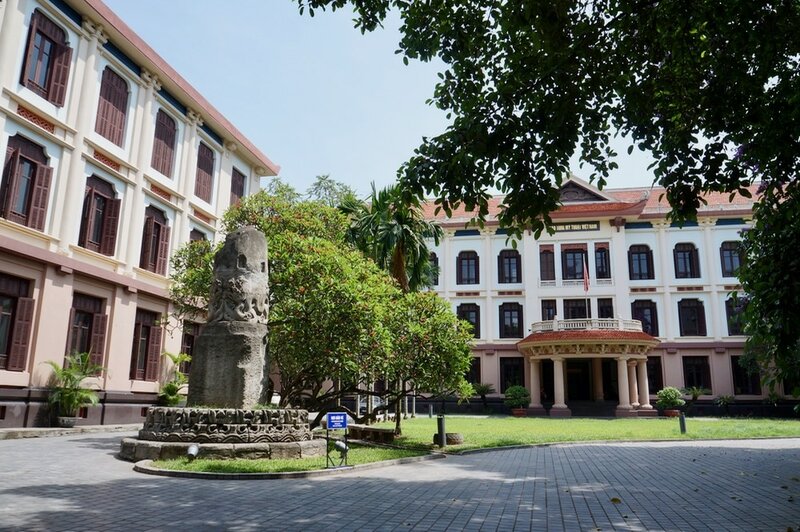 Vietnamese fine art has a long history which has been be traced as far back as 10,000 years ago as seen in the cave paintings on the walls of Dong Noi in Hoa Bihn Province. Artefacts are here from Vietnam's 3 cultures, the Dong Son in the North, the Sa Huynh in Central Vietnam and the OcEo in the South but most of the really fine good pieces are often from the communal houses of villages in the North. Another one from Nam Dinh but from Huong Loc Communal House. Look at the smiles!! 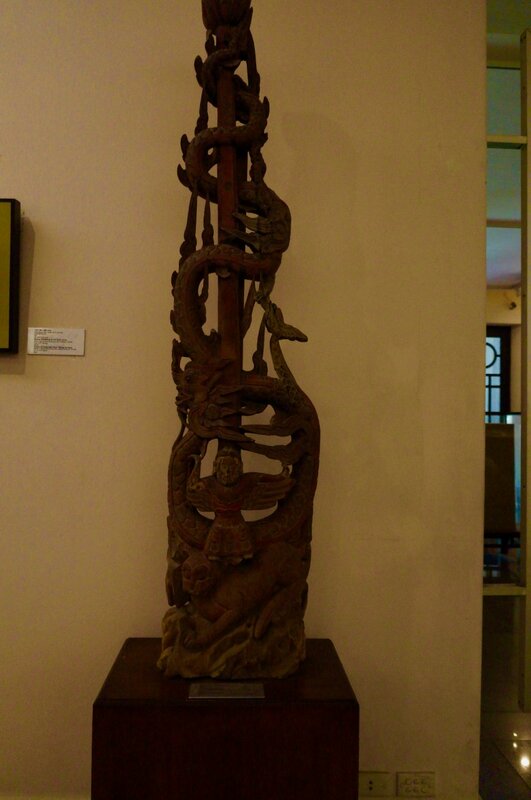 Below is another wooden carving. This one is from the Loc Du Communal House. 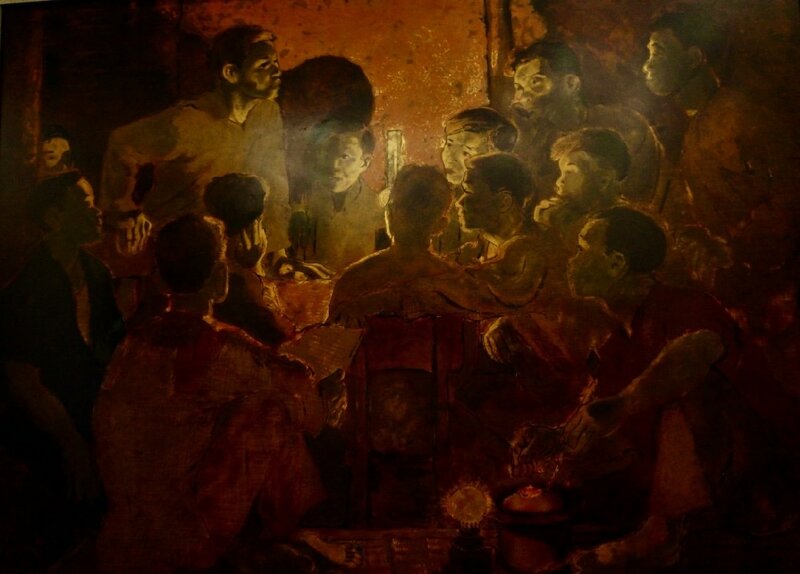 What really stayed with me were the paintings of Ho Chi Minh and soldiers meeting with villagers. Soldiers memories in very simple paintings of burning of villages and banshees from the air. Though not professional, the message was jolting, expressive of the feelings of the people fighting for their homeland. 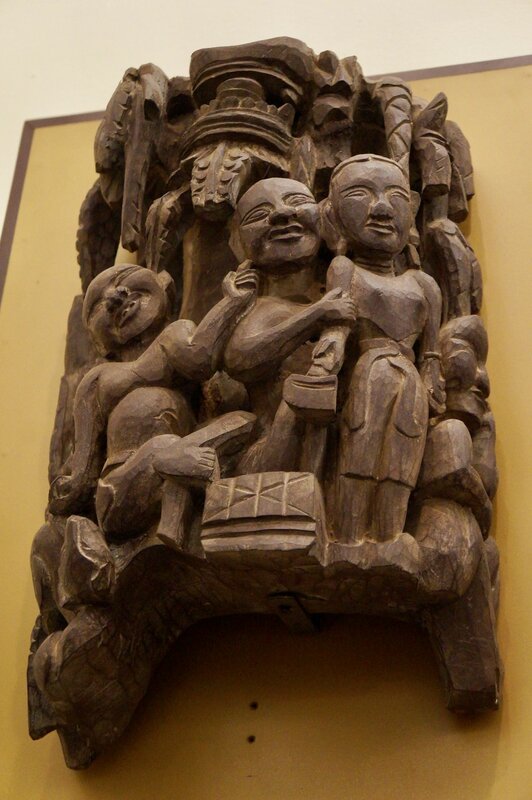 Vietnam's folk art is also displayed in the museum, including tribal art as well as paintings or prints of daily village activities or special ceremonies. 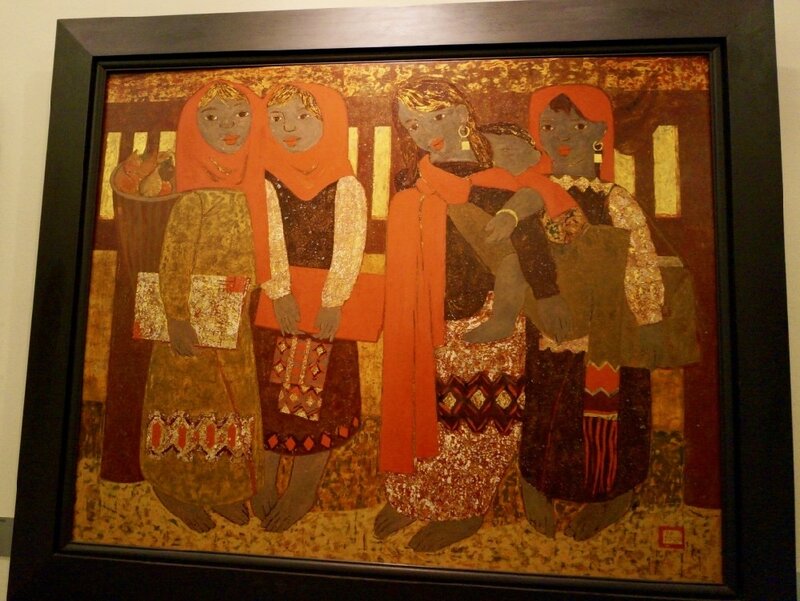 Below is a painting of the women in the village. Hand embroidered on fabric of a Vietnamese Street Vendor. This is an art that many Vietnamese villagers still do and the intricate stitching create a beautiful picture.